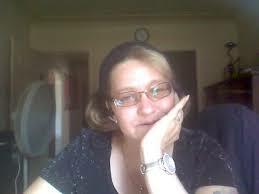 For many of us, Honey Buhlman is a name that has left many of us appauled. The now, board member for WINN radio, is no stranger to complaints, fraud, and other forms of questionable deeds. 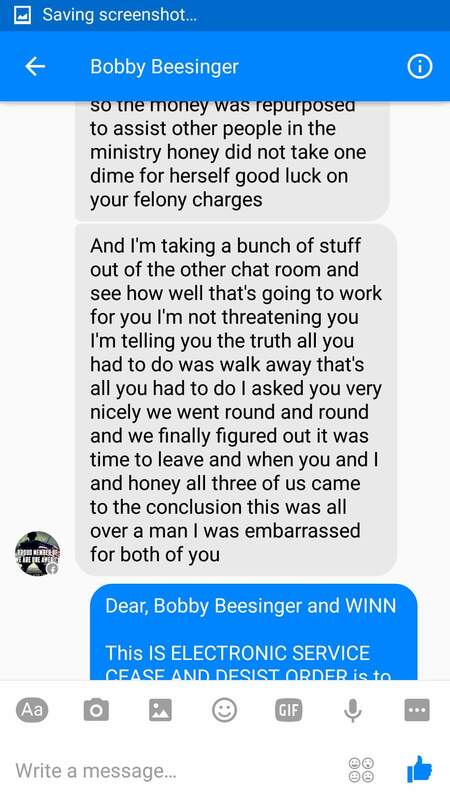 What is worst, WINN founder, Bobby Beesinger, has openly endorsed the fraudulant deeds. It is with this in mind, War on Corruption is among the many who will be exposing these people. But, for all intensive purposes, how about we start with Honey. I wish I could say Honey was anything but a GoFundMe professional. But to say that, means I would have to lie. We all may recall such a page for the Dalton family that she had created. However, here is what you may not know. 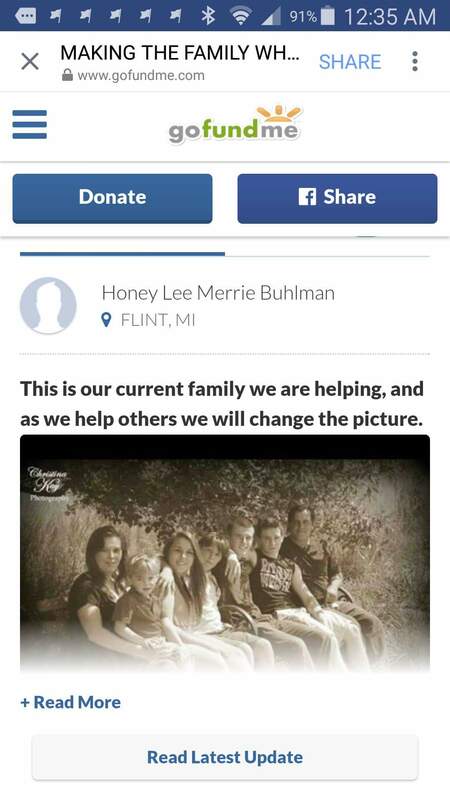 Out of the $175 raised by Honey, the Daltons did not recieve one dime of it. Instead, Honey had used it for medications. Later, the story was changed. In reality, she had defrauded the donors, the media who supported her, and the Daltons who were already being victimized. To say this kindly, she is a predator of the worst kind. Below is her confession. Initially, when I looked into Honey, I had noticed an ungodly amount of GoFundMes in her name. Why? She claims to help families, but as we know, the Dalton family is still awaiting that help. Her idea of helping them, send her goons to harass Rosemary. This brings us to our next Special little cupcake, Bobby. 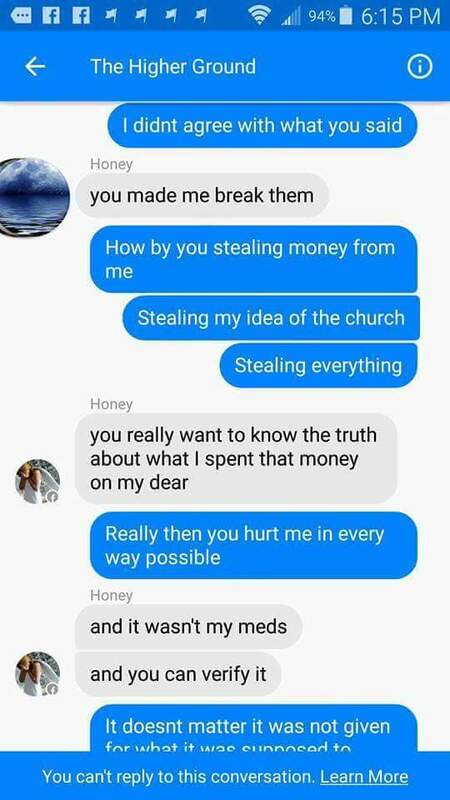 Recently, as most of us know, Honey was exposed on the KNTN radioshow. Host, Tim Skomo, was enraged by the fact that none of the money had reached the Daltons. And why not? 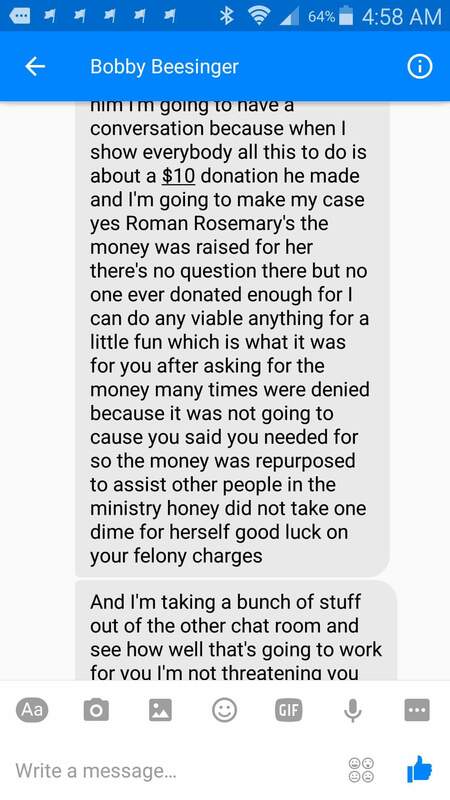 He did donate and therefore his anger was justified. As a result of this show, Rosemary was confronted by a very slow Bobby. His angle? Prevent the already completed show from airing, that worked well. By this point, the show had already been archived onto Tim’s site. 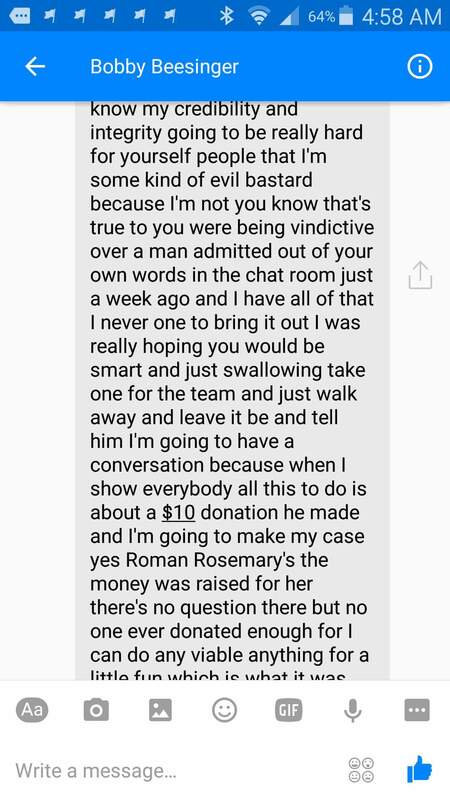 However, Bobby still used various forms blackmail, threats, and bullying tactics to get Rosemary to bend to his will. What this special cupcake had failed to realize is this, Rosemary had nothing to do with this show airing. Below, for documentation, I will post portions of the said conversation. The words of an unethical bully. This is just a small portion of his tyranny against Rosemary and her organization, MAFA, LLC. An unethical coward who bullies women, knowing full well, the woman he is defending has earned her stripes. Since this conversation, Bobby did make a public slandering, broadly displaying his cowardly colors. This post is below. You may view a commentary post, which includes his post, here. What this is, is nothing short of a sick lack of morals, ethics, and intgrity. The two slimeballs, I discussed prey on the weak and feed off of their fear. What’s worst, they are not alone. But I am fine with that as I am not alone in this new form of corruption. I strongly advise caution if interacting with these two people, as I also advise you to conduct your research.